Bulgur with Dates (also known as Hot Whole Wheat with Dates) is a staple in our cooking classes. 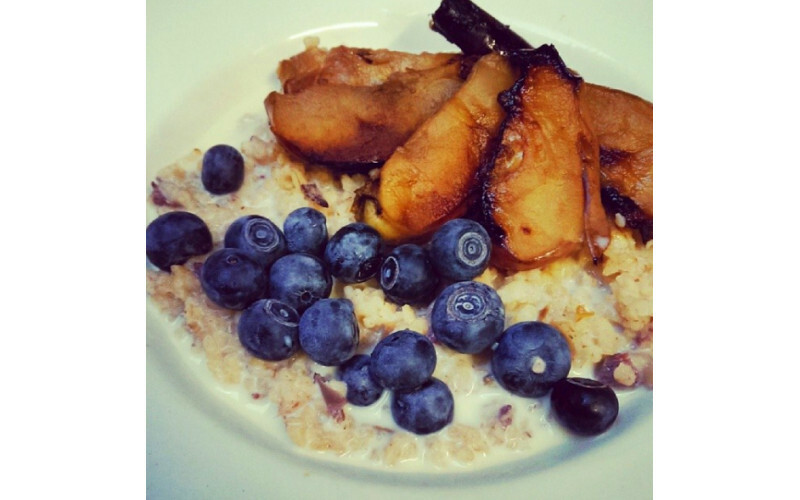 Participants can't get over how delish and satiating this breakfast recipe dish is. With 49.1g of carbohydrates per 1 cup of serving, 5.1g of protein and 8.9g of fibre it's a great way to get your day started. In class we leave out the salt, nutmeg, cardamon and vanilla extra making it quick and simple to prepare. Affordability is another strong point to this recipe: bulgur and dates don't cost the earth. Make sure to choose coarse bulgur as we want to pack that fibre content in. For that extra money saving tip, if you visit your local middle eastern/Turkish shop you'll find it available to purchase in bulk. You can make this in batch and it keeps for 3-4 days happily in the fridge. If you also make a batch of overnight oats or oven baked granola you can then alternate throughout the week. Breakfast is one of the most important meals of the day. If you have it on hand, you won't skip it or be tempted by something unhealthy. Serve room temperature or hot with any plant-based milk. Combine water, bulgur, dates, and salt in a large saucepan and bring to a boil, stirring constantly. Reduce heat, cover, and simmer, stirring occasionally until bulgur is very tender, about 20 to 30 minutes. Remove from heat and stir in vanilla, nutmeg, and cardamom. Serve plain or with soy- or rice milk, if desired.